I was telling a colleague that I was thinking about purchasing a backpack. Mind you, I am very carfeul about my handbag purchases. It was well thought out and I wasn't drinking. Her response? You a backpack? I can't let you do it. 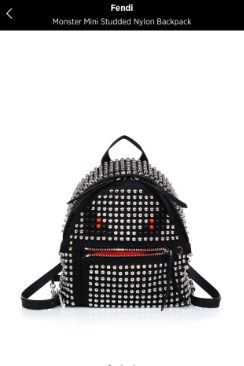 I chuckled and responded yes a backpack, "clearly you missed that Valentino designed one reccently". 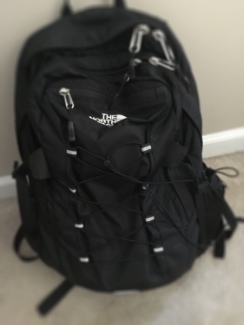 We had a fun debate over wheter or not it was okay to jump on the "backpack" bandwagon. I had to remind her that I was in fact correct about my backpack claims. The ironic thing is that the next day I received an e-mail from Saks Fifth Avenue backing up my claims that backpacks were indeed okay to tote around. Thanks Saks! One thing you should know is that the backpack was around thousands of years ago but was not officially founded until the 1900s. In acient times, hunters used backpacks to carry large prey along with other hunting supplies. Back then, they designed their bags with animal hide and sewed skins together. Imagine caveman style, not anything close to leather or calf hair designs that we would wear today. Here it goes, the moment you've all been waiting for, the story behind the backpack, which has several names by the way. The backpack is known as a bookbag, knapsack, packsack, pack, or bergen. Wait, what is a bergen other than a mall in New Jersey? 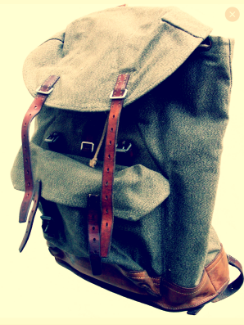 The British Army used the word bergen for a large load-carrying rucksack, which was a design created during the Second World War. The term back pack was coined in the United States in 1910 and called a "rucksack" througout Europe, which translated into a cloth sack carried by the back. Any way you carry it we know is as a backpack in modern day. By definition, a cloth sack carried on your back and tightened with two straps that go over your shoulders. The most classic backpack design is a bag attached to a set of shoulder straps and maybe has a pocket or two. If you are lucky, you might find a secret pocket to hide your valuables depending on your retailer of choice. In the United States and most of the world, backpack shopping is a fun tradition that students participate in to get ready for back to school. It was always a big deal for me to pick out a new 'back to school' backpack along with my family and friends. I would choose carefully especially if you have to use the same bag for a year. I believe that there is a always a happy medium between fashion and function if you look carefully. Don't settle until you find the most perfect backpack, these little choices are a big deal. Here are some of my top choices. Jansport- long history of designing backpacks and that's pretty much all they make. North Face- a little more expensive but you are paying for the quality fabric. It will last much longer and has some great extra features. Herschel Supply Co- known for high quality fabric and design. Their backpacks aren't typical and kinda different. Ebags Remember that you get what you pay for, your children care about these things and little choices go a long way. 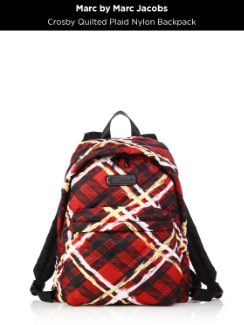 As I stated previously, backpacks are a big handbag trend this fall which is a continuation from spring. 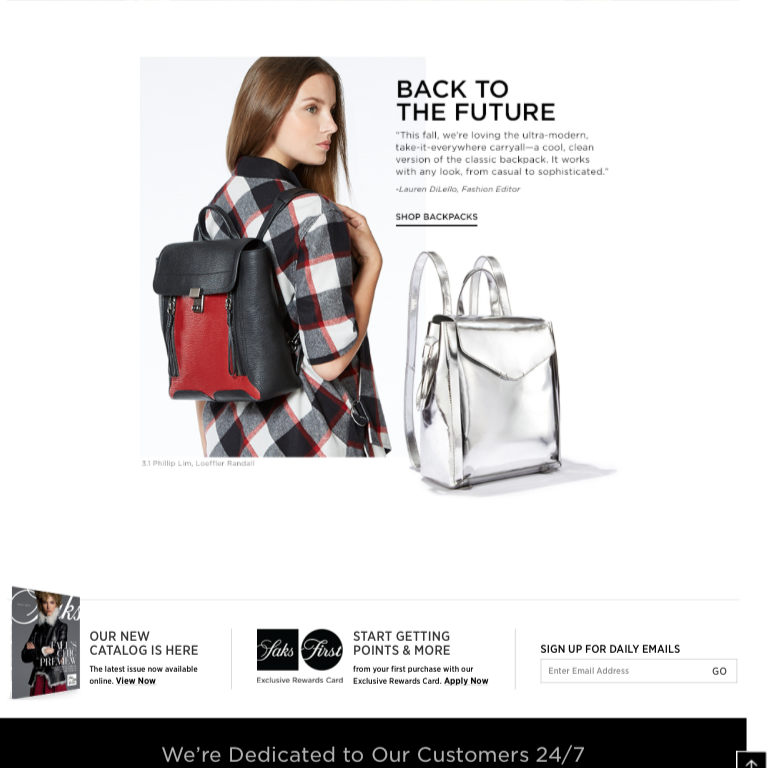 Saks Fifth Avenue has 345 backpacks for sale as a result of a basic "backpack" search in their online store. It seems crazy that something so functional, yet full of history is popular in a big way. Some of my favorites are the Fendi Monster, Rebecca Minkoff for her soft slouchy leather, and Marc Jacobs' utility fabric for my crazy toddler in tow. 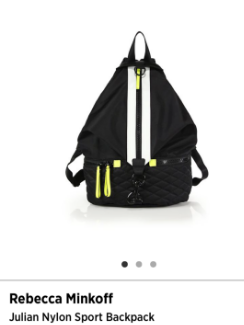 Now that backpacks are in and hot off the runway, we can definately shop for backpacks and think to ourselves, "why yes I am too cool for school!" Style should always be you! Aug 17 Coach or Cliche?